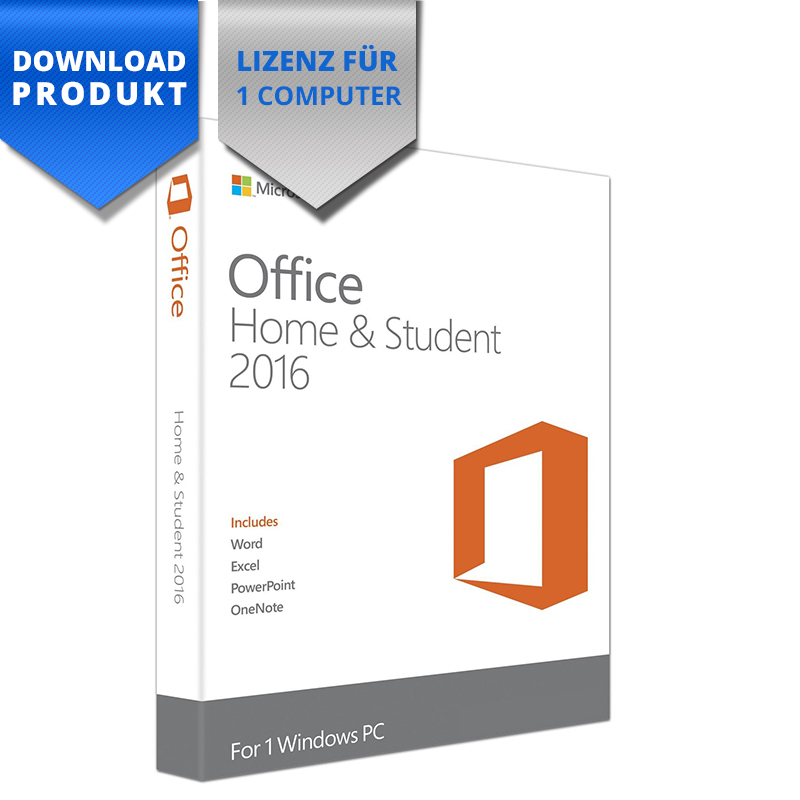 Microsoft Office for at home and for students. Contains the 2016 version of the programmes Word, Excel, PowerPoint and OneNote. Backward and forward compatibility with earlier versions of Office has been improved. Users of Office 2007, Office 2010, Office 365 or Office 2013 can open documents created with Office 2016 applications without any additional effort. Customers using earlier versions of Office may need to download and install a compatibility package. This Office suite can also be used with OneDrive. You receive 15 GB of free online storage space. Upload documents, photos, presentations and other files, and then access them from a computer or mobile phone. for the Microsoft product activation, you purchase is valid for all languages ​​in which this software is available. He is indefinitely valid for one computer. 30 days support for installation and activation.